So, the OnePlus 5T launched yesterday, and to say the least, it was the worst kept secret of 2017. We actually had two unboxings of the phone 4 days before the launch itself. It wouldn’t be unfair to say that people were only looking forward to the price announcement. 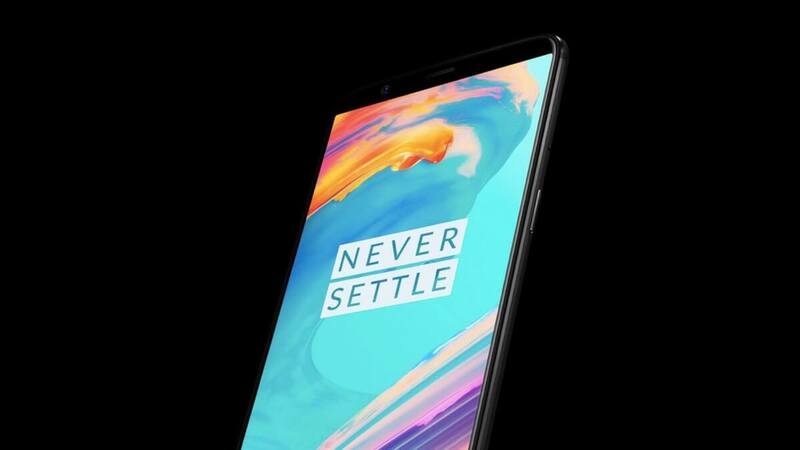 The OnePlus 5T also seems like an injustice to OnePlus 5 users, even though the phone was not initially in the plans. We’ll be honest with you though. OnePlus simply announced the phone to get in on the bezel-less phobia. Having said that, we won’t delve much on the specs part of the phone as those are pretty much a copy of the OnePlus 5 spec-sheet. We will, however, describe some highlighted features. In terms of design too, the OnePlus 5T is the bigger brother of the OnePlus 5. With the same material, build quality, and colour continuing from its younger sibling. It’s a tad bit bigger though. The OnePlus 5T is all about that screen. It boasts of a 6.01-inch Full HD+ (1080×2160 ) 18:9 aspect ratio display. It dominates the front screen and banishes the fingerprint reader to the rear of the handset. OnePlus also has built in some colour modes in the settings for users to play with. Users can change the colour temperature to their liking. 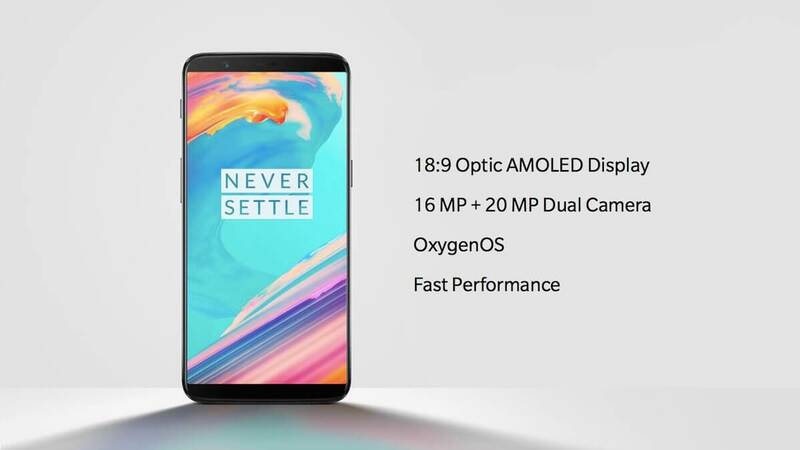 OnePlus also unwrapped a face unlock feature that is software-based and is outrageously fast. We don’t yet know what OnePlus has cooked up in the software, but this is a topic of detailed reviews. It relies simply on the front cam for this feature. So, there is a likelihood that the OnePlus 5 might get it. The fingerprint scanner on the OnePlus 5 is very reliable and the OnePlus 5T continues the tradition. There’s not much you can complain here. It is fast. The OnePlus 5T has two photo shooters at the back. What’s different this time around is that there’s no telephoto lens. Instead of a telephoto lens, they’ve opted for a 20 MP regular shooter with f/1.7 aperture. The primary camera is the same 16 MP sensor as the OnePlus 5. Both of them have a f/1.7 aperture. The secondary camera kicks in when there is low light (under 10 lux) and uses “Intelligent Pixel” technology to make up for scarce light. How well this camera performs is pretty early to say, but initial results do seem good. OnePlus has also introduced a portrait mode and a Pro mode both of which leaked earlier. The portrait mode is similar to what we can get from most other smartphones and the Pro mode comes with features like 4K video recording, RAW file support and much more. The app UI has also been simplified with gestures to make mode switching easier. 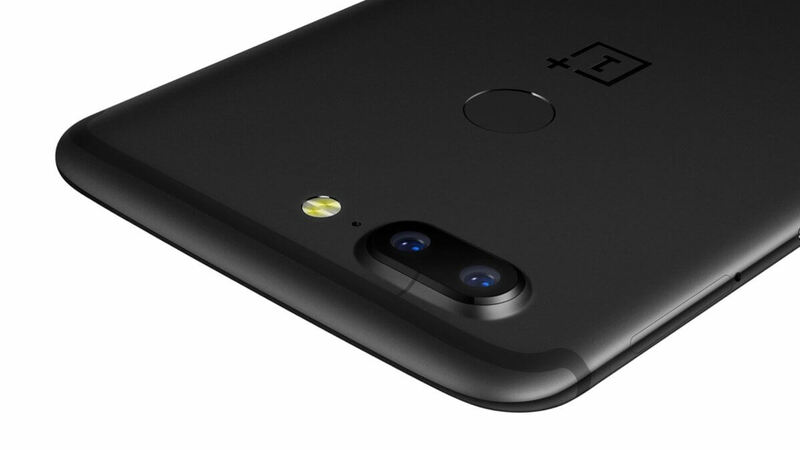 The front camera is the same story as the OnePlus 5. OnePlus ships the phone with Android Nougat mixed up with Oxygen OS 4.7. And it’s a bit disappointing we don’t get to see Android Oreo. As most manufacturers are in the process of delivering betas to their flagships. Even the OnePlus 5 is very close to getting stable Android Oreo. Well, at least, OnePlus 5 users have something to laugh about. Last but not least the pricing. In the US, the OnePlus 5T (6 GB) variant costs $499 and the 8GB variant costs $559. In India, the same variants cost Rs 32,999 and Rs 37,999 respectively. Sales of the OnePlus 5T start simultaneously in the US, EU, and Indian markets on November 28. It shall be Amazon exclusive in India. For Amazon Prime members, the phone will be available on November 21, 4:30pm IST.